Life’s a beach at parkrun! Whilst a number of parkruns take place on seafront promenades in coastal towns and cities across the UK every week, finding a free, weekly, timed 5k that gives you the opportunity to get sand between your toes and waves splashing on your feet are few and far between. But, in the parkrun world, there are more opportunities to soak up the sun on golden sandy beaches – without needing to pack an umbrella or a jumper just in case! In the latest instalment of the parkrun Tourism series we take a closer look at five parkruns around the world that take place ON beaches! Our first stop on our tour of the world’s beach parkruns takes us to the south west of Ireland, to County Kerry, where you can find Inch Beach parkrun. Inch Beach is a three-mile strip of sand that forms part of the magnificent Dingle Peninsula, one of the most breathtaking regions on the west coast of Ireland. Inch Beach parkrun launched in May 2018 and the route walks, jogs and runs entirely on sand. The course is a straight out-and-backer, with a turnaround cone at the 2.5k mark, giving you chance to greet the oncoming tide of your fellow parkrunners with a friendly wave as you make your way to the finn-ish! Inch Beach is also a Blue Flag beach, a sign of its high environmental and quality standards, so whatever happens, you will be shore of having a whale of a time as you enjoy post-parkrun refreshments at Sammy’s Café. Just make sure you *cough* sand back your parkrun finish token before you leave! From the south of Ireland to New South Wales in Australia, next up it’s the aptly named The Beaches parkrun! Located north of Sydney, The Beaches parkrun can be found at Bar Beach, a suburb of the harbour city of Newcastle. Temperatures in Newcastle, Australia are slightly warmer than namesake Newcastle in the UK – topping 33°C in the peak of Summer! The course is a two-lapper starting at Cooks Hill Surf Club, heading towards Merewether and back again, and travels entirely on sand. The event has recently celebrated four years of parkrunning, and in that time more than 2,200 different people have enjoyed the views of the South Pacific Ocean, of which 1,119 parkrunners have shellebrated PBs! 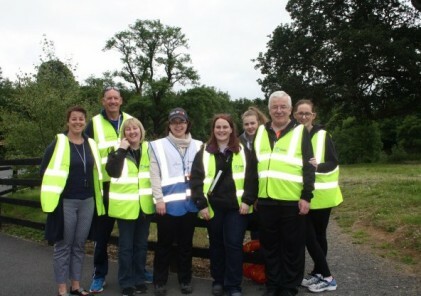 As Portrush parkrun Event Director Mervyn Thompson explains, everyone is welcome on a Saturday morning: “We share our course with dog walkers, horse riders, surfers, paragliders, kite surfers – we have even had a baby seal one Saturday morning!”. The wide beach provides ample room for everyone – in fact, you could even say there are oceans of space. 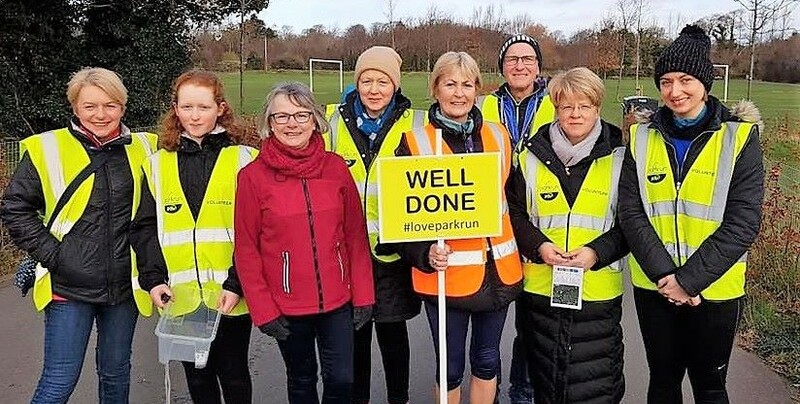 Located just eight miles from the world famous Giant’s Causeway, and an hour’s drive from the capital city of Belfast, Portrush parkrun is an amazing stop for parkrun tourists, and one to add to your parkrun bucket and spade list! Our final two beach destinations are located less than five miles away from each other on South Africa’s southwest coast, north of Cape Town. First up, it’s Big Bay parkrun! Big Bay joined the parkrun family March 2013 and since then attendances have swelled to more than 330 people each week, all enjoying dramatic views out across Table Bay and the South Atlantic Ocean. In season, you might even get to see whales breaching and seals playing in the waves. The course heads down onto the beach, out towards Melkbosstrand, before you turn back for home, at which point you will be greeted with stunning views of iconic Table Mountain. The flat-topped mountain that overlooks Cape Town was once dubbed “a gift to the earth” by Nelson Mandela, and it’s certainly good enough for us! You may think parkrunning on sand wouldn’t make for particularly fast times – but the course record at Big Bay is a rapid 16:33! Once you’ve finally caught your breath from Big Bay parkrun… you get to do it all again up the road at Melkbosstrand! Melkbosstrand parkrun, just over a parkrun away, is the younger sibling of its near neighbour, having launched in July 2018. However despite being less than six months old, Melkbosstrand welcomes close to 500 walkers, joggers, runners and volunteers every Saturday. Fittingly, the name Melkbosstrand is Afrikaans for “Milkbush beach” after the type of bush that grows on the sand dunes. This event is a straight out-and-backer heading north, before again turning to back towards Table Mountain. As with most seafront parkruns the course is pancake flat, so those looking to catch a PB can mussel their way to the finish line. Or, if after all this beach parkrunning you’ve had quite enough of sand, you can take in your surroundings safe in the knowledge you’re participating in one of the world’s most spectacular parkruns. Afterwards you can surf the wave of parkrun euphoria, and salmon your friends together for a post-parkrun selfie in front of one of South Africa’s iconic landmarks!